Do we have some good sleuths on forum? Thread: Do we have some good sleuths on forum? I am looking for a quilt that someone made within the past month. They used this pattern and I would like to see what fabrics they used. I bookmarked it and it just "disappeared" from my computer. I looked back through 11 pages of pictures and couldn't find it. Tell me I am not imagining this!! Thanks in advance for all of your help. Oh, and the quilt is truly on the straight of fabric. The picture was tilted. I have a couple of these fabrics in flannel. Called Essential Flannel from Wilmington Prints. It likes like most of those are from the same line. I have 4 of the fabrics that are in the sample. What's the name of the pattern. It looks familiar but I don't remember it the name. It would make it easier for me to do a search. The person that posted the quilt didn't have the name. She used beautiful fabrics, though. The fabric definitely was not pastels, though. I just wanted to take another look at the quilt, but I can't find the post that used this pattern with different fabrics. Thanks again for your help. We do have really good sleuths on the board. Cherisews and Dharinger, these are exactly what I was looking for. Thanks so much. Take care. Glad I could help! Let us know what colors you choose for this quilt. Have fun! I don't know but the colors are enticing! The pattern looks easy. I am going to follow thid thread for info. Thanks for the posting. 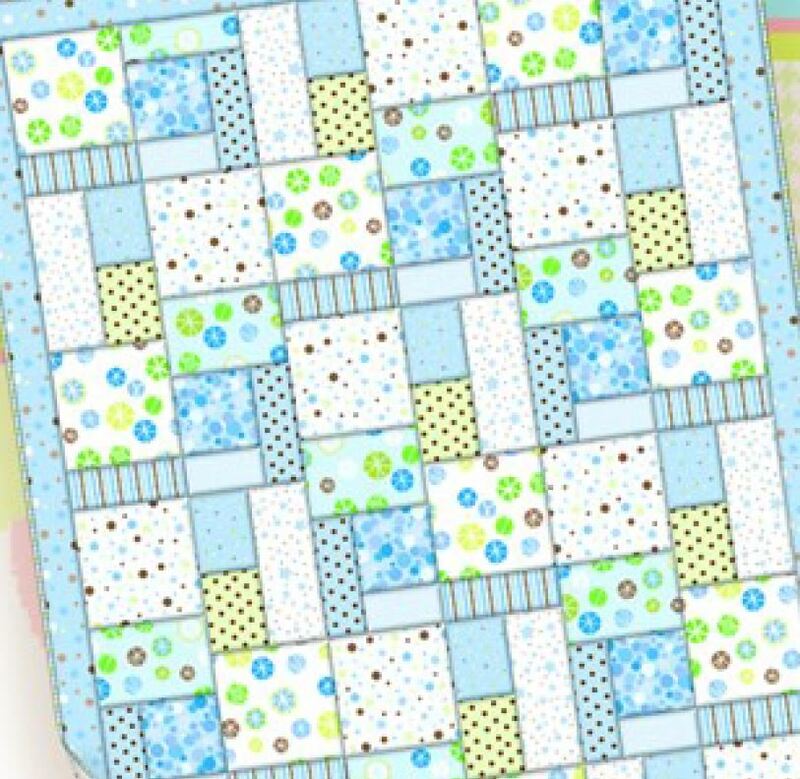 Many thanks for the link, it is a very cute quilt. Picked up a couple of other free patterns while I was there, like I need more projects. thank you for starting this post. I made a copy of pattern.